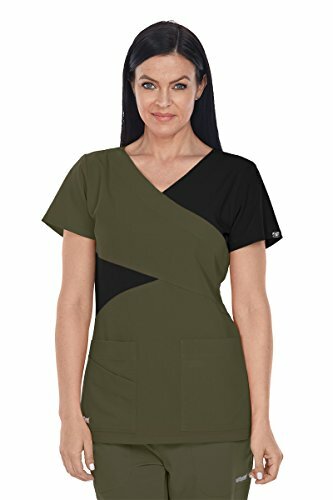 5-pocket mock wrap v-neck top with detailed style lines to support contrast color blocking. Also features 4 way stretch, super soft, superior moisture-wicking and soil release fabric. 3-pocket mock wrap with a Fitted back. 4 way stretch fabric. Super soft, superior moisture-wicking. soil release. 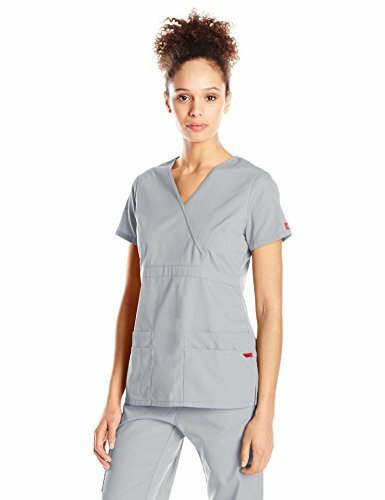 A junior fit, empire waist, mock wrap top features an instrument loop on the left pocket, multiple patch pockets with a pencil slot, front princess seams and side vents. Center back length: 26 inch. 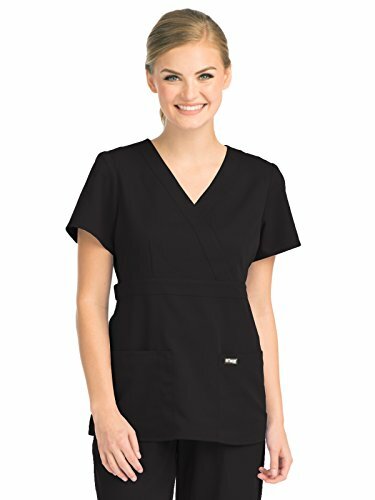 A Contemporary fit mock wrap top features a decorative logo eyelet trim, front yokes, three patch pockets and a utility D-ring,. Also featured are back princess seams for added shape and side vents. 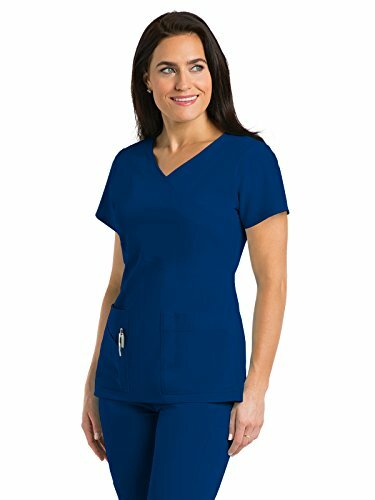 Center Back Length: 26 1/2"
The 86806 mock wrap scrub top has an empire waist and front patch pockets with angled openings. There's also an instrument loop on the right pocket and a stretchy knit interior pocket. 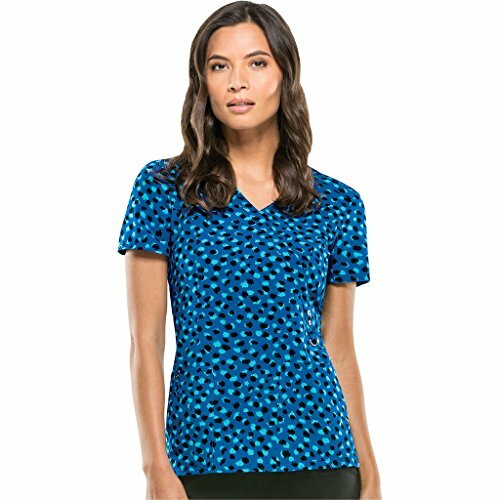 This top from Dickies EDS Signature collection has side vents. Center back length: 25"". 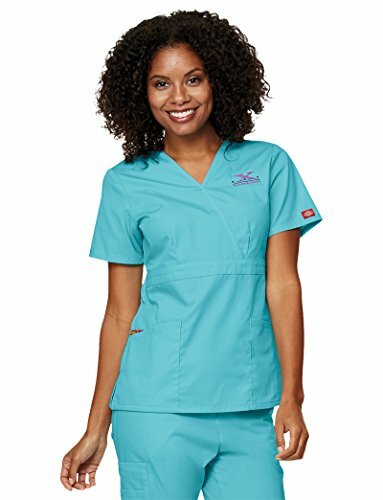 Missy modern classic fit Mock wrap scrub top Patch pockets with angled opening Interior knit pocket Empire waist Side vents Set-in sleeves Center back length: 25 inches Brushed 55% Cotton/45% Polyester This product can be shipped anywhere in the 50 United States Puerto Rico The US Virgin Islands and APO and FPO addresses. Sorry we cannot ship this product to any other address.